Game Over for Pong pioneer? 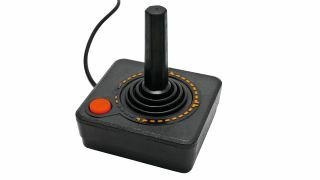 The North American arm of troubled video game legend Atari has filed for Chapter 11 bankruptcy, it was emerged on Monday. Atari Inc, which pioneered home video gaming in the 1970s with games like Pong and Asteroids, hopes that the filing will free it from its French parent company S.A., which is struggling to manage its debt. The application for bankruptcy, which also included three of Atari Inc's affiliate companies, was made in New York late on Sunday night. The iconic company now hopes that it can find a buyer to take it private and start again with a "modest business model" based on developing for mobile platforms, reports on Monday claimed. The New York-based arm of the company is said to be making a profit - $4m in fiscal year 2012 - by repackaging its classic catalogue for the smartphone and tablet era. However, growth opportunities are limited due to its debt-ridden owners and the expiration of a $28m (UK£17.6, AUD$26.6) credit facility with London-based financer BlueBay. The company fell into French hands in the year 2000, when it was bought out by the Infogrames company, which soon changed its name to Atari S.A. in a bid to capitalise on its more illustrious acquisition. The LA Times reports that, if the bankruptcy proceedings go in Atari Inc's favour then it could emerge with limited debt and its own cash to spend on developing titles new and old.